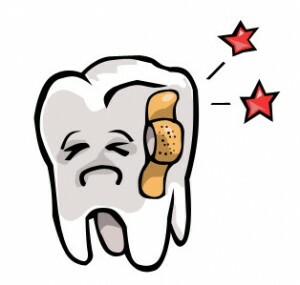 Many a times, the word “toothache” brings to mind decay and bacteria entering into the pulp chamber, causing an infection within the tooth which eventually kills the nerve. Pain is the biggest complaint, as it affects our daily routine: eating, talking, drinking hot/cold fluids. When dentists hear the word “toothache”, their first instinct (sadly, a taught one, that is) is to think of an infection and the need for a “root canal treatment”. This involves accessing into the pulp chamber, removing the nerve within it and rendering the tooth “dead”. In theory, this should remove the chief complaint: pain. But what happens if a “toothache” is not really a toothache? Pain is a huge motivator to seek treatment. Dentist understand this, and make it their number one priority to get a patient out of pain. However, instead of jumping straight into a diagnosis, we sometimes have to take a step back and go slow. What we are trying to say is that, we should not rush into a treatment at the expense of misdiagnosing the problem. “Root canal treatments” can be costly as it renders a tooth dead (and don’t get us started on leaving a dead tooth in the mouth) and should be done only when necessary or not at all. Sometimes, the best treatment is to “wait and watch” – as more symptoms develop, it gives a clearer picture of the puzzle. That does not mean we won’t do something about it – rather, we start with the easiest treatment (which usually ISN’T root canal treatment) to get you out of pain first, and work our way up to more complex diagnosis.